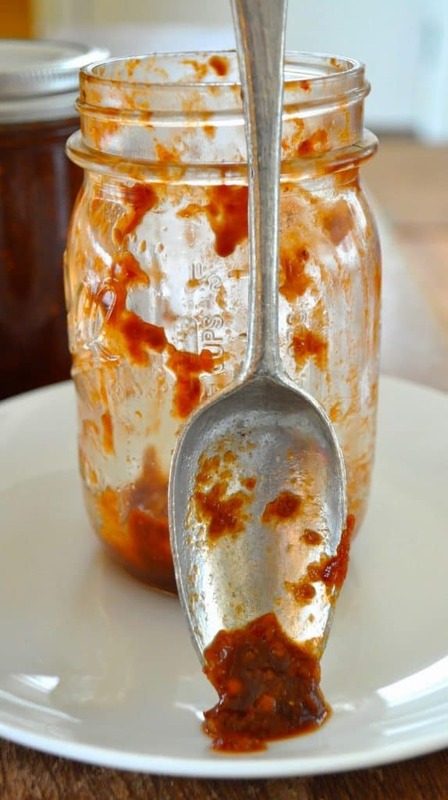 This is a scorching hot version of our family Homemade Hot Sauce Sriracha Style recipe, made especially for my hot sauce craving husband, maybe you know someone who likes it hot too? 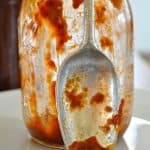 This sauce cleared the kitchen while it was cooking so if you have little ones you may want to make this when they’re not going to be in the kitchen with you. Definitely use the fan when you making this too because you’ll want to move that steam right on out of the house. 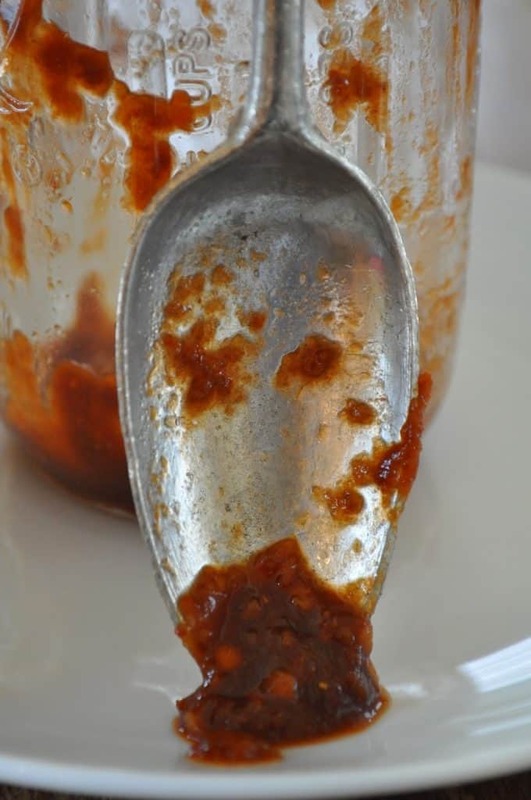 A while back I made a Chipotle Dipping Sauce, it used a tad bit of chipotle peppers in adobo sauce, leaving me to wonder what to do with the rest of the can of peppers in sauce. 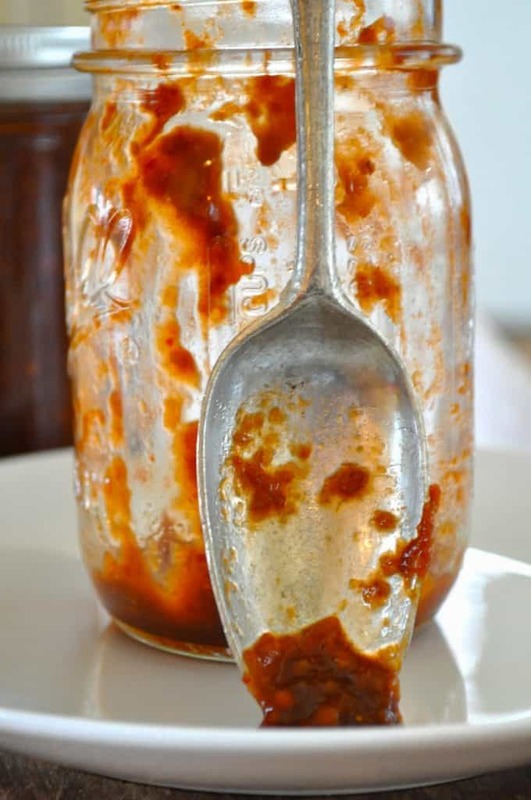 I don’t like lingering leftovers so I made up a batch of the hottest hot sauce I could muster for my husband to enjoy. Learn from my mistake drape a towel over the food processor BEFORE turning it on or you will have splattered hot sauce decorating your walls. And finally if you know someone who adores hot pepper sauce as much as my husband does this makes a GREAT present. It’s quick to put together and then you can leave it for awhile and come back to it when you can.